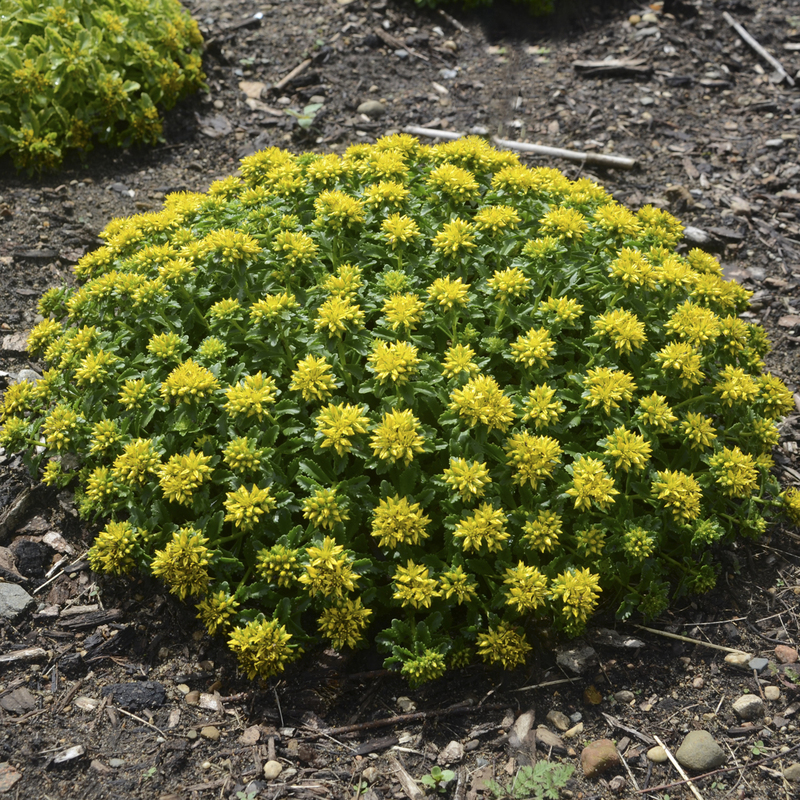 This groundcover Sedum is perfect for rock gardens, combination containers, or the front of the border. 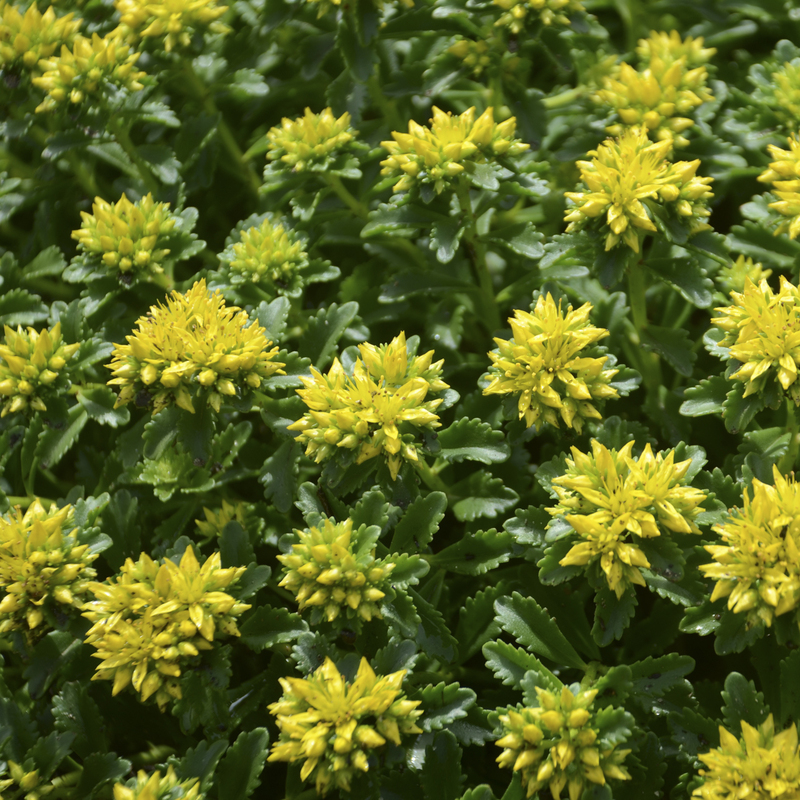 'Little Miss Sunshine' is prized for its incredibly dark green, glossy foliage, compact size, and tidiness in the landscape. From early to midsummer, tiny clusters of yellow flowers cover the polished habit. This perennial is tough and drought tolerant once established, so it's perfect for areas with hot, dry summers. PPAF. Low, spreading sedums form a solid mat of foliage which is excellent for covering slopes or can be planted as a groundcover in sunny, dry areas. They are extremely drought tolerant. These are terrific low-maintenance plants that always look their best.